The summer Musical Mixer series is back! Join us for happy hour at our Musical Mixers for young professionals with a passion for music and the arts. Each Mixer will feature an open bar of wine and beer, light food, and entertainment by Levine musicians. Admission for these events is $10 per person in advance and $15 at the door. Entry is free to members. Currently, we are running a special price of 4 tickets for the price of 3! Come with a group of friends for the best deal! 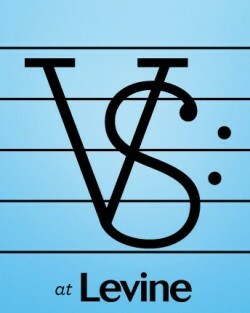 Levine School of Music’s Virtuoso Society is a group for young professionals who want to mix, mingle, have fun and enjoy great music! Your involvement as a Levine Virtuoso will help us further the mission of the school, which is to make high quality music education available to everyone. See all of tonight’s and all the week’s events here. To add your event, click the events tab up top and then click “add an event”. You can add concerts, museum/gallery exhibits, fundraisers, sporting events, bike rides etc. You can add anything you think will be of interest to PoPville.